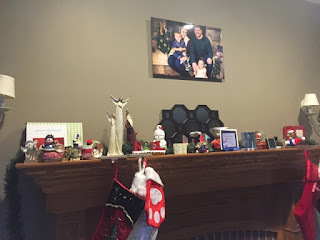 Daily Adventures of the SAHM: AdoramaPix Metal Print - Hello Gorgeous! AdoramaPix Metal Print - Hello Gorgeous! 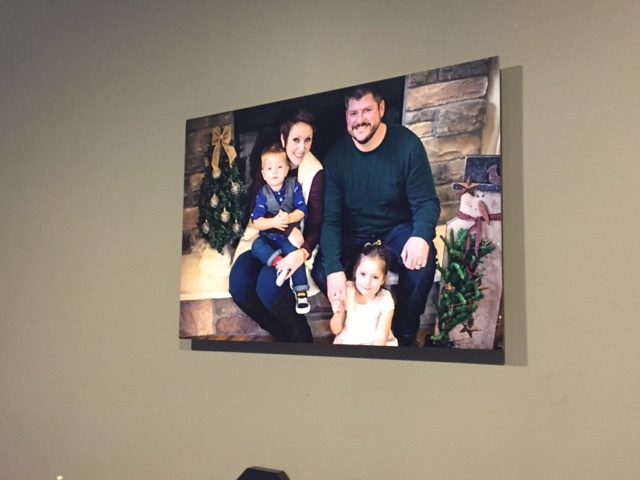 NOTE: I received this redonk amazing metal print free from AdoramaPix in exchange for my honest review. However, the opinions stated are all my own. Bla bla bla. True Story - I'd never heard of AdoramaPix before. I received an opportunity to write a review for the holidays and jumped at the opportunity! After all, my living room constantly needs to be updated to keep my wandering mind satiated and typically the easiest way to do so is to update the image over our mantel! So like I said, I jumped at the opportunity. First and foremost, the good: Creating the project was amazingly simple on the site. You create an account, pick what kind of project you want to start, upload your images and order! Easy peasy, obviously. I placed my order promptly and sat back with a giant smile on my face! Here's the bad: Shipping took forever. Forever-forever. FORRRREEEEVERRRRR. 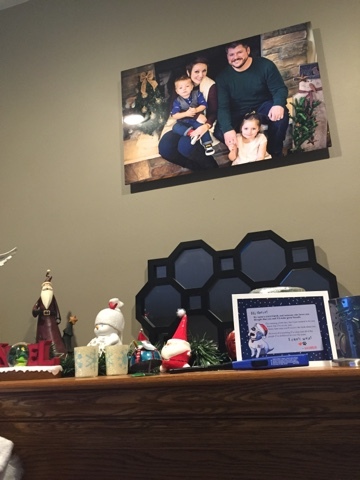 I received this picture in exchange for promoting for Christmas. However, I didn't want to write a review until I actually received the print and it took at least 5 weeks. I'm assuming it's because of the holidays and people buying stuff and loving other people and whatever else. Just the same, I was less than impressed with the printing time. Just the same, I'm sure if I had paid a rush fee I could have had this to my house a week later. I'm majorly digging my new art either way. Isn't it fab? Seriously. And I equally have such a beautiful family AND an awesome photographer. By the way, the picture was taken by J. Linder Photography! If anyone local to SE Wisconsin is looking for an affordable photographer, she's your gal. But I digress, AdoramaPix might not be your ideal gift for a timely Christmas 2015 present, but it would be a fabulous option for a birthday present in 2016! Your mom would love it. She would. She told me. Last night.